Filippo Candio, who’s best known for finishing fourth in the 2010 WSOP Main Event, has announced his retirement from poker. Candio broke the news through his Facebook page by writing that he’ll quit poker once the PPT Campione D’Italia (March 27th-31st) event ends. The 30-year-old explained that he’s been planning his retirement from poker for a while now. However, a Canale 5 (Channel 5) news story that falsely implicated him in a tax evasion scandal has expedited the process. The story, which aired on March 5th, is based on a Sardinia newspaper article that was proven wrong two years ago. Canale 5 later retracted their story and apologized for the mistake. Candio acknowledged the retraction, however, he also believes that the damage may already be done since millions of people saw the news segment. He added that he looked to poker for “glory and serenity,” but realizes that this is no longer possible with the persisting tax evasion story circulating around blogs and websites. A big reason why Candio was planning to retire before the news segment may be due to his relative lack of success in recent years. Since collecting $3,092,545 from his fourth-place finish in the 2010 Main Event, he’s managed to make just over $141k in nearly four years since the massive score. 2012 and ’13 were particularly rough because he only earned a combined $39,110 in tourney winnings. Despite few earnings lately, Candio does lay claim to a couple of impressive accomplishments. 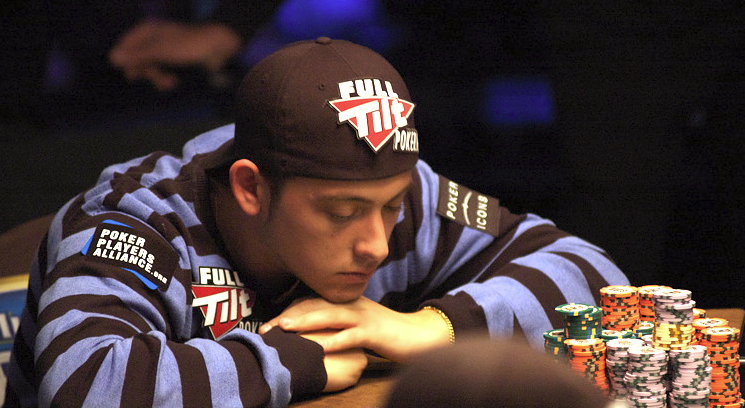 First off, he’s the only Italian poker player in history to make the Main Event final table. And thanks to his $3,487,325 in career winnings, Candio ranks second all-time among Italian players, trailing only 5-time WSOP champion Jeff Lisandro.